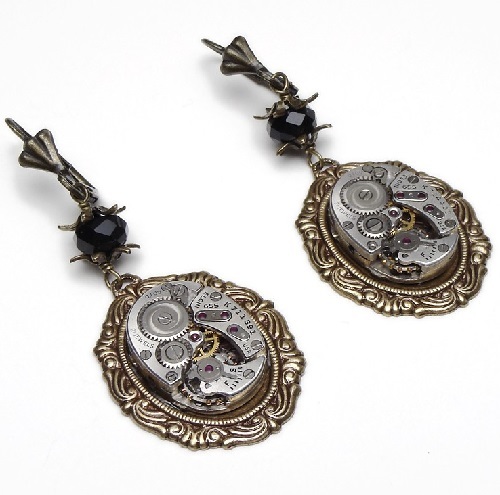 Based on the use of various mechanical parts and parts of objects, steampunk style is a popular fashion trend, has its fans in art, interior design, especially in the clothing and fashion accessories. 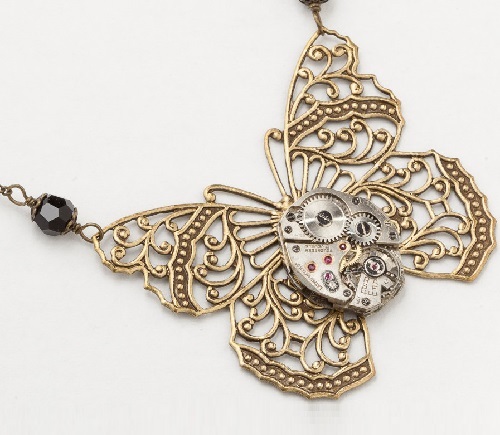 Created by Maria Sparks original decoration in the style of steampunk – elegance, good taste and excellent quality. At the same time the main component of all these decorations are assembled stylish parts of the mechanical watches. 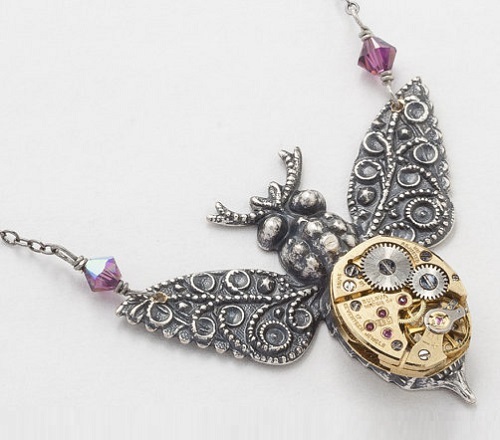 Steampunk jewelry artist Maria Sparks lives in Oregon, USA. 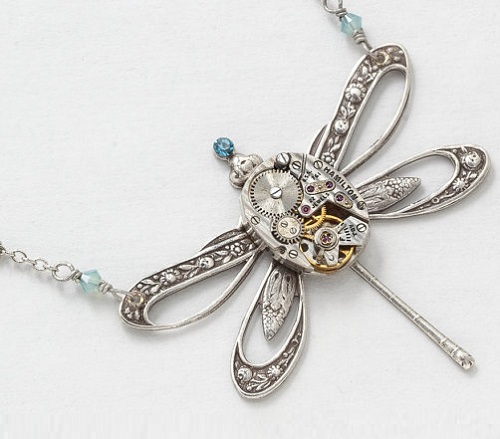 She has been designing and creating jewelry for 22 years. 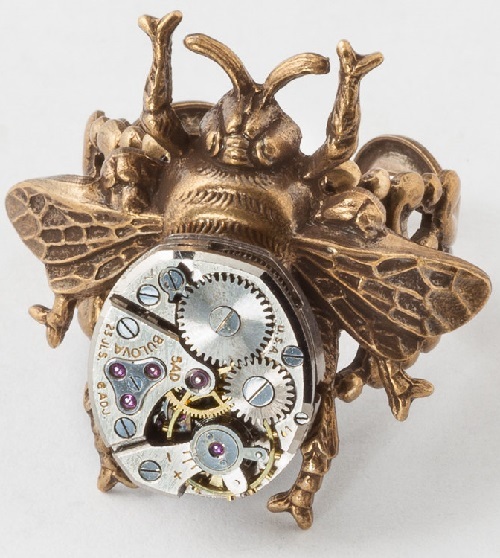 Watchmaker by trade, Maria Sparks has always loved working with antique mechanical watches and has always been inspired by the beauty of nature, Victorian, Art Nouveau and Art Deco period jewelry. 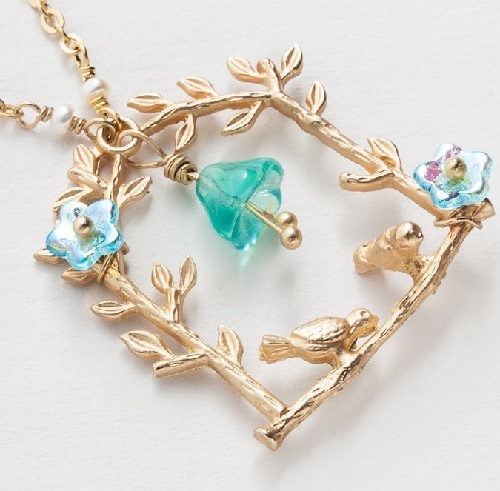 Each of her jewelry piece is of a kind, handcrafted and made on an original design by the creator. 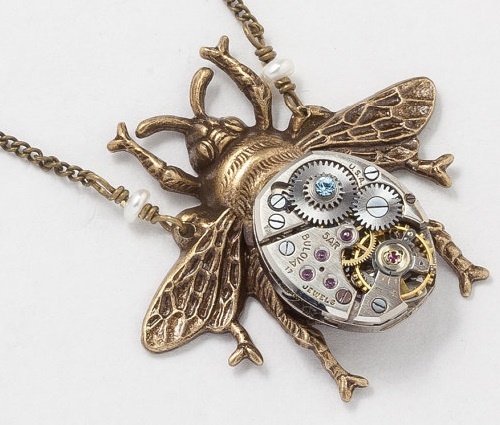 Maria Sparks steampunk jewelry is not just crafts from old clock, it is the real jewelry art. 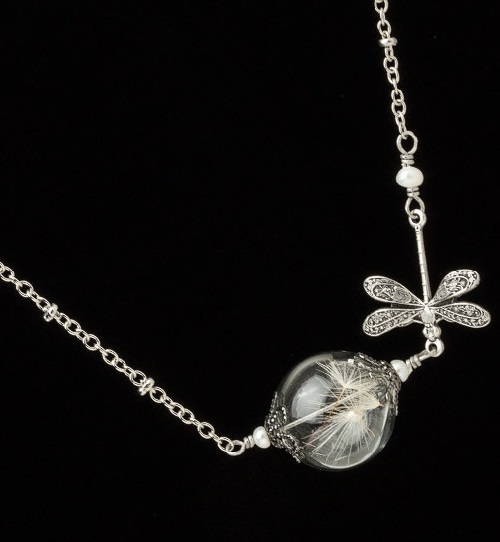 In the manufacture of jewelry used silver, gold, copper, semi-precious stones and Swarovski crystals. 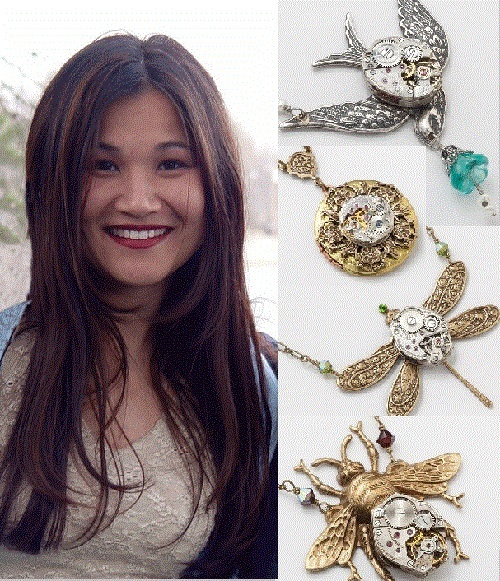 Maria Sparks jewelry pieces are ideal for those who prefer unusual accessories, want to emphasize their style and personality. 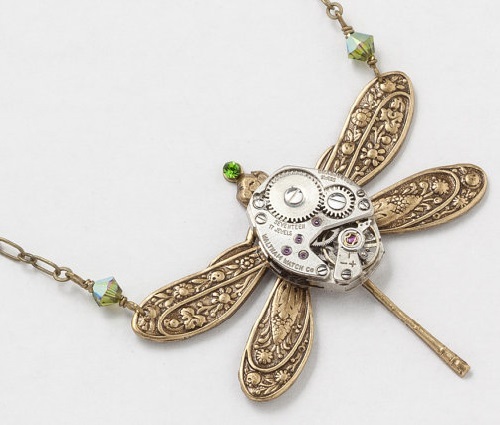 Stunning and elegant, Steampunk Necklace gold dragonfly flower leaf inspired by nature, features an antique circa 1890, silver Waltham pocket watch plate. 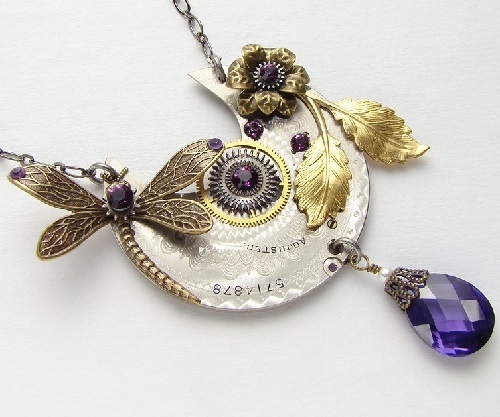 The watch plate decorated with round faceted amethyst purple Swarovski crystal stones. 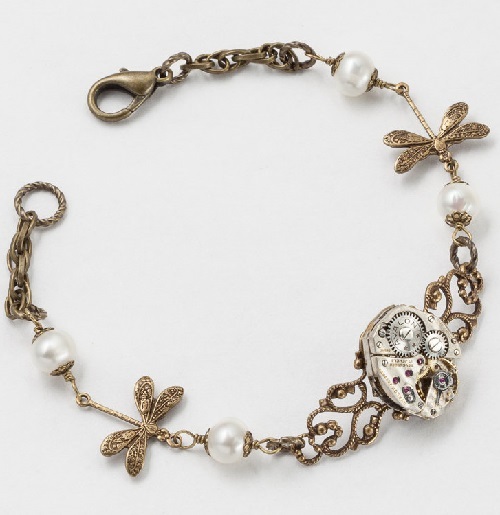 Highly detailed antiqued gold dragonfly, a gold brass rose leaf branch and a flower from antiqued gold brass findings. 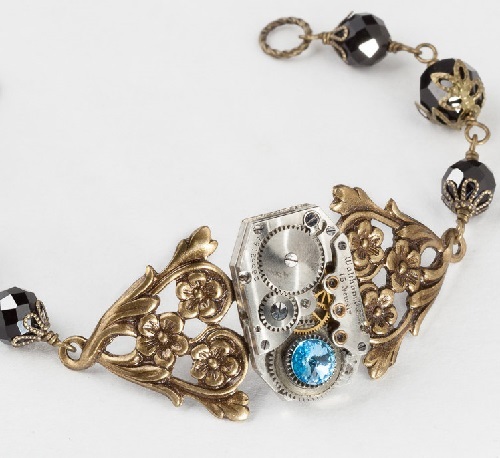 Handmade one of a kind Steampunk bracelet, features an antique circa 1920, e Waltham watch mechanism, set on an ornate antiqued brass flower and leaf motif frame. 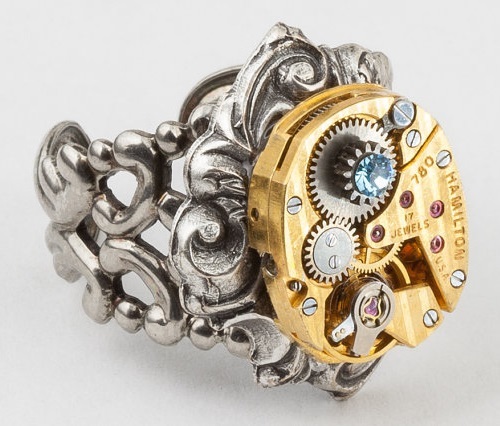 The vintage watch movement displays brilliant genuine ruby jewels, exposed gold brass gears, highly polished steel accents and decorative satin finished steel wheel plates. 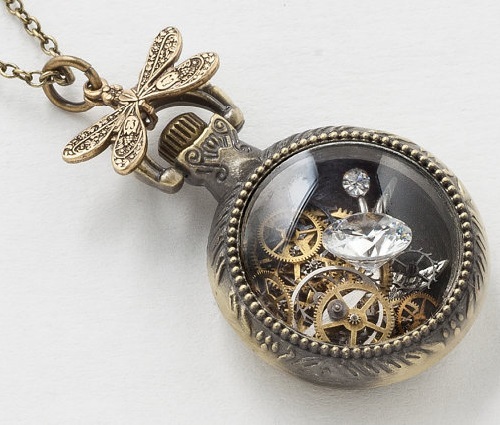 The mechanism is adorned with a antique steel pocket watch gear set with a faceted blue aquamarine Swarovski crystal stone. 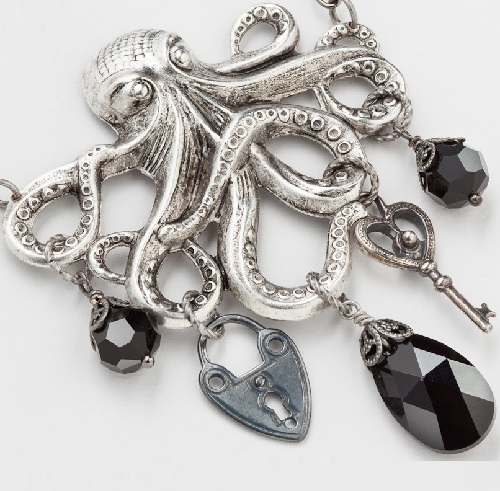 Six faceted vintage jet black crystal beads all capped in antiqued brass filigree.